Proper Sewage Treatment is a crucial part of maintaining Minnesota’s Public Health as well as Natural Resources in the Ramsey MN area. The team behind CSI Custom Septic, Inc. is dedicated to making sure that each individual property that we serve is well cared for and as healthy as possible. We are a highly qualified MPCA Certified Septic Services Provider. 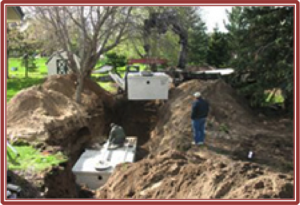 Our MN Septic License, training and experience provides the tools we need to perform Septic Compliance Inspections, Septic System Repairs, Soil Sampling, new or replacement Septic Designing and Professional Installation. In most cases a Permit is required before beginning work on one of Ramsey MN approximately 4,200 Septic Systems. Each property owner is responsible for the upkeep and general maintenance of their own Individual Sewage Treatment Systems (ISTS). For example; the Septic Tank should be pumped not less than once every 3 years. A Septic Professional can help you to determine when the tank needs to be cleaned or otherwise serviced. Every state has there own regulations for Individual Sewage Treatment Systems (ISTS). Unlike some states, Minnesota does not require a different certification for each county. A Septic Contractor’s Certification and License are done through the Minnesota Pollution Control Agency (MPCA). It is up to each contractor to understand the local ordinances for each area that they plan to work. Not all septic businesses are equal. 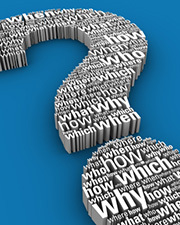 In order to become a Licensed MN Septic Contractor there is a good amount of education that has to be completed first. The Septic Contractor Exam is certified by the MPCA. The exam is set up to show that the individual has the Skills, Education, Experience and Qualifications to meet the standards of the Minnesota Pollution Control Agency (MPCA). Ongoing Education is important in order to keep up with local government ordinances and industry best practices. Septic Contractors must show proof of Liability Insurance before being allowed to successfully get a Permit from a local municipality. CSI Custom Septic, Inc. is fully Licensed, Bonded and Insured as a MN Septic Contractor. With More Than 20 Years Experience with Minnesota Septic Systems, you can count on CSI Custom Septic, Inc. to provide excellent services. Customer Service is never an afterthought. This is why CSI has built an impressive list of References from satisfied customers who trust us to care for their Individual Sewage Treatment System (ISTS) year after year. As a MPCA Certified Septic Professional, Custom Septic Inc. (CSI) is fully Licensed, Bonded and Insured. You can trust our level of professionalism, customer service, quality and value from our more than 20 years serving the Twin Cities, Central and Northern Minnesota. Call for more info on Septic Compliance Inspections, Designs, Repairs and Installations.